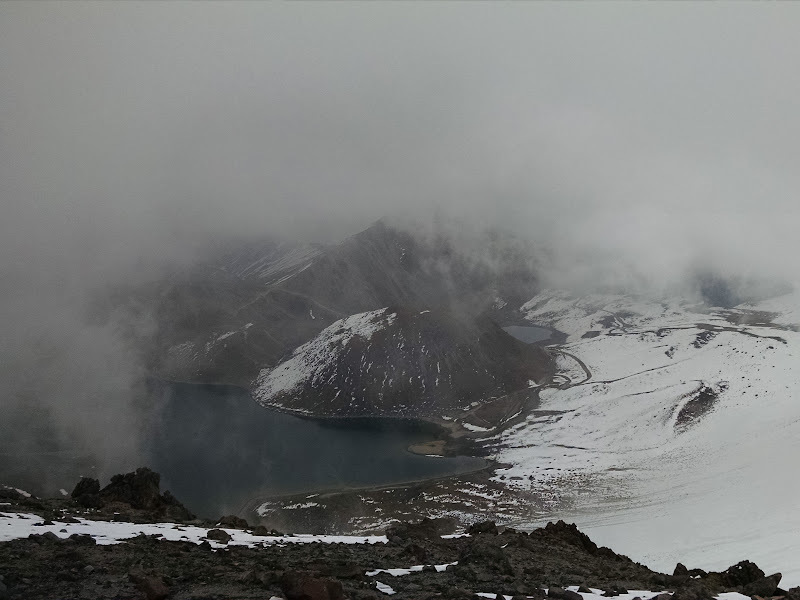 Nevado de Toluca, also known as Xinantecatl, is the fourth highest of the Mexican volcanoes (after Pico de Orizaba, Popocatépetl, and Iztaccíhuatl). The mountain has two main summits, Pico del Aguila in the north (15,223 feet) and Pico del Fraile in the south (15,354 feet). Inside the crater are two lakes, Laguna del Sol and Laguna de la Luna. A dirt road which leads to the crater lakes (but is gated at the hut) makes Nevado de Toluca the most accessible of the volcanoes. 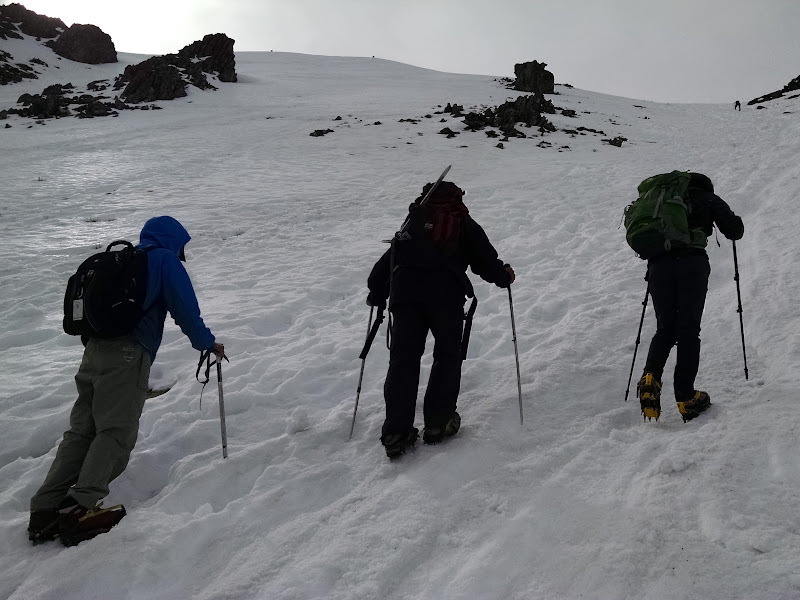 Several ascent options are popular, to either one of the summits or both. 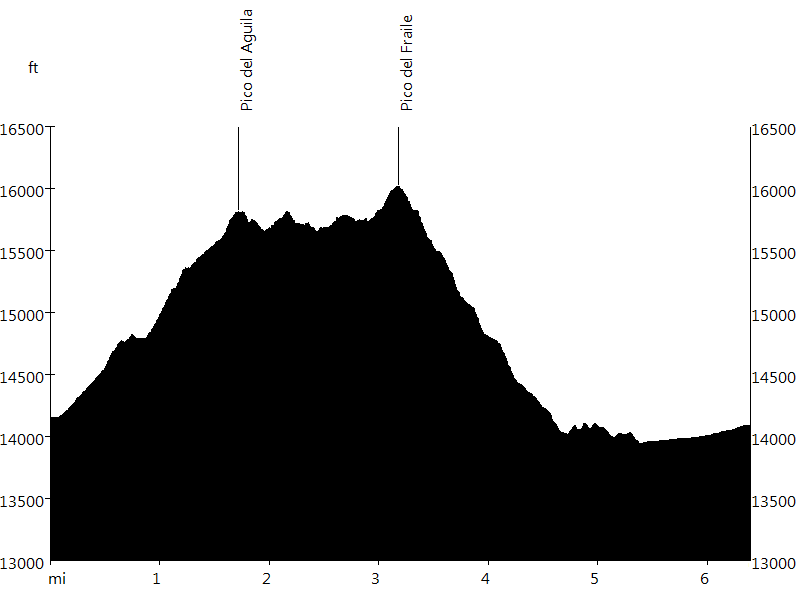 This route leads up the north side of the volcano to the rim of the crater, then continues on to Pico del Aguila. From here it follows the ridge, which eventually leads up to Pico del Fraile. Several descent options are available. This route leads down the west side of the volcano and then heads north towards the dirt road and back to the starting point. 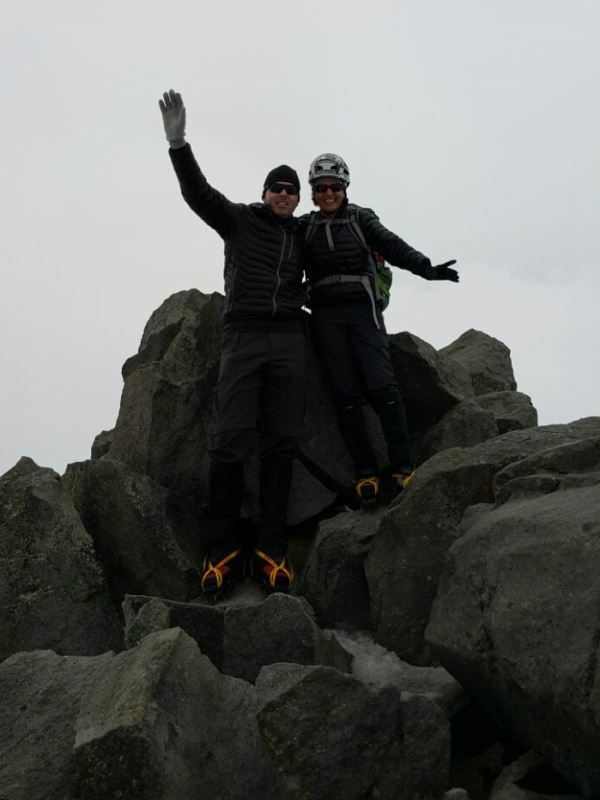 A week ago we climbed La Malinche, then spent a few days with family and friends in Puebla. On Friday we traveled to Toluca, at 8,750 feet the highest city in Mexico. 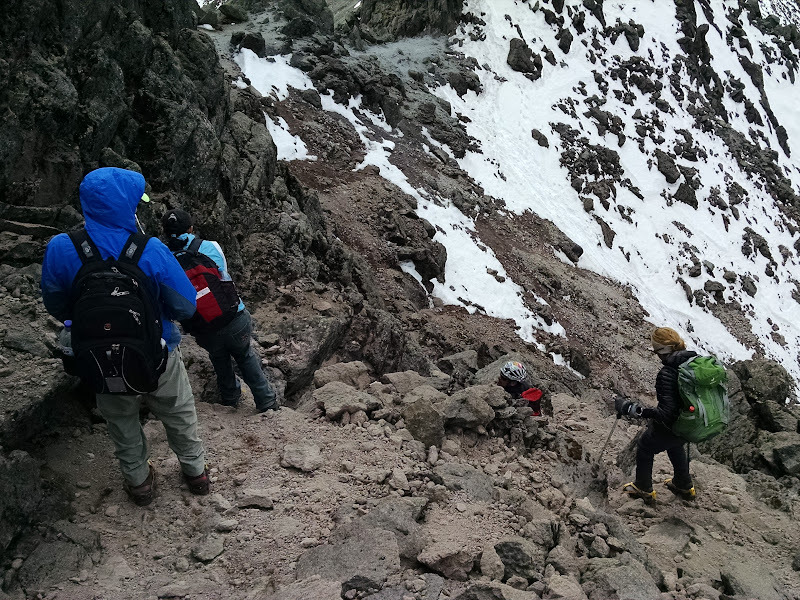 Saturday we acclimated on Nevado de Toluca. 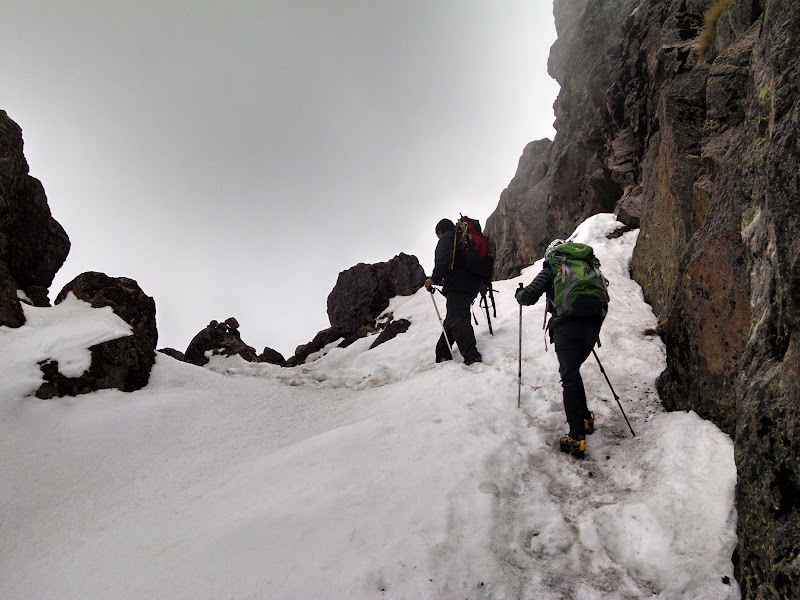 On Sunday Faus, Sergio, Sandra, Hilarion (guide), and I went up the mountain. Thanks a lot to Faus and Sergio for their hospitality. 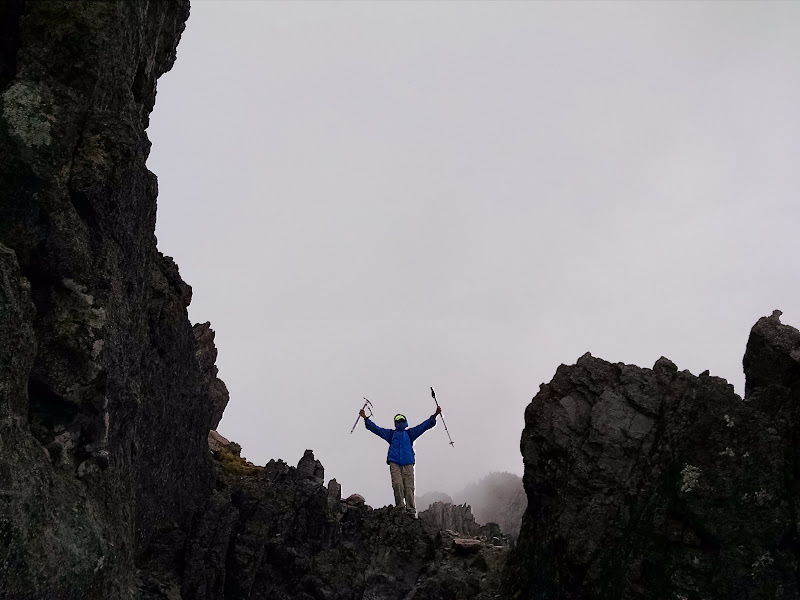 A week ago we climbed La Malinche, then spent a few days with family and friends in Puebla. 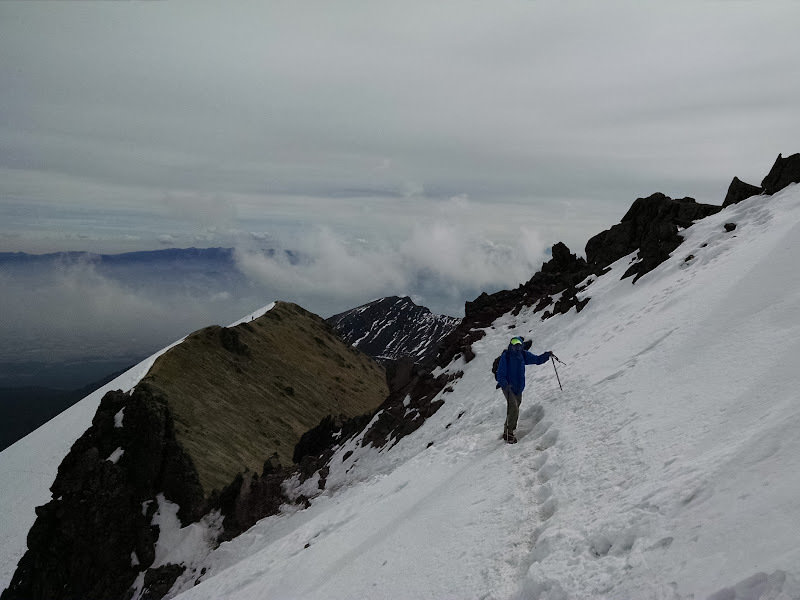 We were scheduled to climb Iztaccíhuatl, but due to snowfall had to move the climb by a week. Instead we traveled to Toluca. On Sunday Faus, Sergio, Sandra, Maria Elena, and I went from the pay station, where the road was closed, to the crater of the volcano (route). 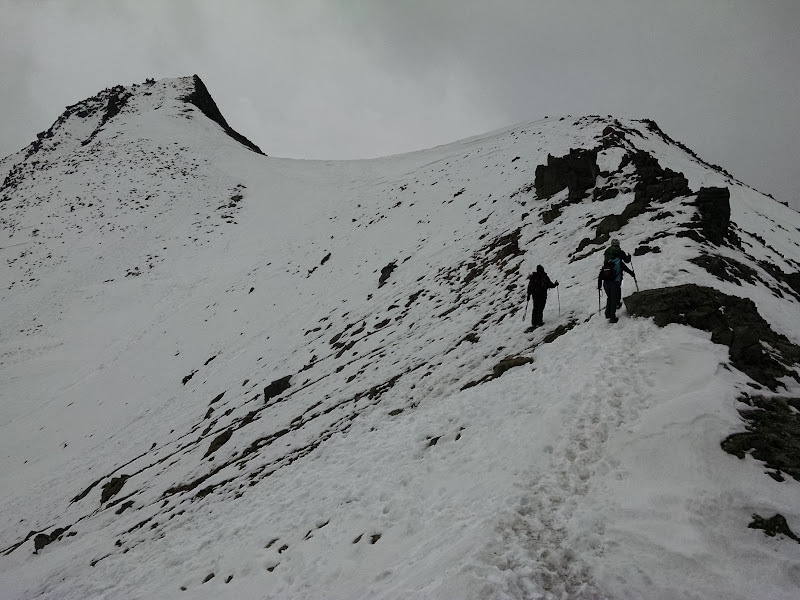 On Saturday we acclimated on Nevado de Toluca. On Sunday Faus, Sandra, Boris (golden retriever), and I went up the mountain (route). Thanks a lot to Faus for her hospitality.